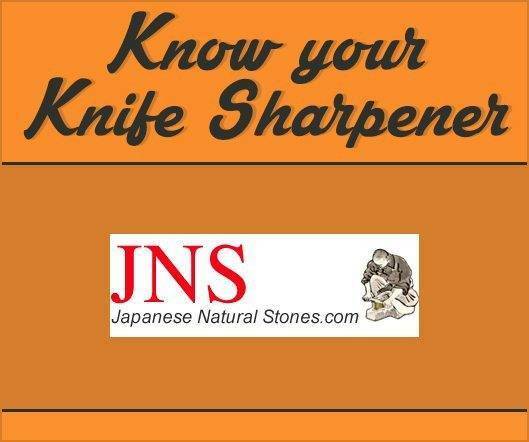 Here’s our latest “Know Your Knife Sharpener” interview. let me introduce you to Maksim, sharpener and owner of JapaneseNaturalStones.com. He has got some really interesting tips for us today. 1– Hello Maksim, can you tell us more about your business, Japanese Natural Stones? I started that business while i was still a chef and became passionate about kitchen knives and how to sharpen them, right now i am running it alone with my wife, still as a hobby but full time 🙂 I still test every single stone that i get and all the knives that i carry make it to my kitchen as well! The goal is sell only stuff that i use myself, also i try to support small blacksmiths and small stone stores in Japan as much as possible, I do not negotiate in prices with them, even sometimes other way around i try to get better products for more to get their business running for longer! 2– What equipment would you recommend to a newbie Knife Sharpener? For beginner a very good 1000 grit stone and a very good 6000 stone, and that’s it! 3 – What’s your favorite water Stone in your lineup? 4– What’s the #1 mistake beginners make? How can they avoid it? That all bevels are 100% flat or straight, there is not such thing. All have to some degree some flaws and unevenness and it is not always that you have to fix it. Japanese single bevels knives have Hamugiriba edges and not totally flat on the main bevel, and even not on ura (on back side). The same goes for double bevels knives! 5– Looking back, what were the first challenges that you had when you started sharpening? Same as above i thought everything had to be flat and i was worried too much about angles. 6– What’s your sharpening technique: Could you take us step by step through it? First and most important look at your knife: How is the bevel, how do i want it to be? How straight is the knife? does it need straightening or could i work around it? After that i use a 6000 stone and a Natural finishing stone that helps me remove the burr and make a nice finish. Of course, it always depends on the knife and what condition it is in. For rust removal and better finish i use fingerstones. 7– Do you think beginners should exercise on cheap knives, or not? Many people say it’s a bad idea to do it. Yep that is right, you have so many problems with cheap knives, they are not straight, they’re made of cheap metal that is difficult to sharpen, you can’t remove burr… avoid them! 8– How do you test blades for sharpness? With my fingers. How it bites into my skin, that is the best way i have found for myself. Also i always try to look for Burr or wire edge, and try to remove it as much as possible, If you have wire edge or small straight burr your knife will dull after the first session. 9– How do you flatten your water stones? How often do you do this? I flatten them with Atoma 140 or my JNS 300 stone, not often maybe 1 time every 3 months or so. I try to use the corners of the stone as much as possible when i polish knives, And i have special stone only for URA (backside of the Single bevels knives). It is always flat as I only use it for that purpose. Other then that i don’t think stones have to be 100% flat as the bevels on the knives. 10– How do you feel about sharpening angles and their importance? Gyuto Angle chef knife – Have to stand some chopping and still be sharp! Butcher Deba High angle – Have to cut true some fish bones and still be sharp! As i said i never measured them, because it depends on how low or how high you can go with each knife as they all made from different steels. You really have to experiment. 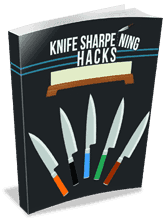 Join our newsletter now and receive our free ebook: "17 Knife Sharpening Hacks"
I’ve been collecting knives for over 7 years. During all these years, I've collected knives from all over the world, ranging from Argentina to Myanmar. Besides knives, I'm an avid traveler and I love hunting and fishing.